FOOTBALL! 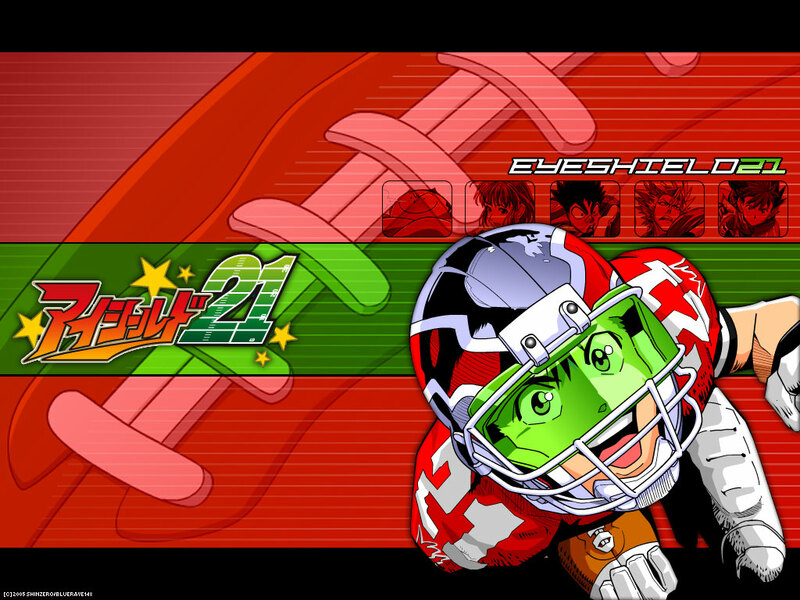 I tried to make a great wallpaper for eyeshield and this is what you get as a final product! Hope ya like it! Nice wallpaper! I like how the backround matches with Sena/Eyeshield 21. Keep up the good work! Could you make one in higher resolution? It would look great on my Cinema Display if you did! Thanks! This is such a nice wallpaper!One of the best ones Ive seen of this anime! Oh, Eyeshield 21 is my main now receive graphs, all win, thank you.